Congrats to SHERMAN R L. of MANSFIELD, Tennessee who just won a $25.00 Restaurant.com gift code for writing a review for Cradlepoint MBR95 Wireless 3G/4G Router Firmware 3.6.3 at 3Gstore.com! Every week we randomly pick one product review from the previous week and award the writer a $25.00 gift code. We appreciate ALL the reviews our customers write, whether they are positive or negative - honest reviews like SHERMAN R L.\'s help other customers decide if the product is right for them. After you purchase a product from 3Gstore.com, we encourage you to log in and 3Gstore.com and leave a review letting people know how the product worked for you - you'll be helping others, and you'll automatically be entered to win a restaurant.com gift code!. IT was just what I was looking for and I am very pleased with it. FINALLY got my older desktop to go wireless. AT&T has announced the upcoming Mobile Hotspot MiFi Liberate by Novatel Wireless, the world’s first mobile hotspot with a touchscreen display and the most feature rich mobile hotspot available. Novatel Wireless has again set the design and usability standard for mobile connectivity with this next generation device that puts freedom at your fingertips. MiFi Liberate’s new iconic design and leap-forward innovation take our industry leading user experience to new levels of ease and functionality. MiFi Liberate’s vibrant, feature-rich touchscreen makes it easier than ever to connect up to 10 Wi-Fi enabled devices to fast 4G LTE™ Internet. You can check data usage, manage connected devices, change settings, enable MiFi Media Center and more…directly on the touchscreen. With up to 11 hours of battery life and the industry’s most advanced security features MiFi Liberate lets you connect with confidence and power through your day. The iPhone 5 Battery life is impressive. BUT there is something you need to do to help get you the most battery life. It is a good idea to “condition” your battery when you first get your iPhone 5. This is very easy to do, just let the phone run down to 0%. Then charge it back to 100% and then let it run down to 0% again, without charging it as it runs down to 0%. Once you have done this, your battery is conditioned and should offer you longer uses. After doing the battery conditioning, with WiFi On, LTE On, Brightness at 60%. I was able to use my iPhone 5 for 9 hours of actual data usage and around 26 hours of standby. This is much better than the iPhone 4S that this replaced. There are a few other tips you can do to make your iOS 6 / iPhone 5 battery last longer. As more and more location based PassBooks start popping up, your battery will be impacted, as your iPhone has to check where it is all the time and determine if it is in a Geofence area of the merchant - so the PassBook can automatically displayed. If you are a heavy user, there are small battery packs that work with iPhone 5. But we are waiting for the first vendor to have an iPhone 5 Battery Case. After the recent launch of the iPhone 5 AT&T hasn’t earned any friends by limiting facetime usage to customers on tiered based plans with overage charges. Customers on older unlimited accounts must switch to a tiered data plan to use Facetime over cellular despite using the same network tiered customers use. Consumer groups have said this violates the FCC’s new loophole-filled network neutrality rules. FCC boss Julius Genachowski said that after a proper complaint from consumer groups are filed and if AT&T doesn’t act in good faith they’ll exercise their responsibility and act. Only time will tell what AT&T will do after this statement but for customers not willing to switch data plans or pay extra for facetime Verizon Wireless doesn’t require any plan changes to use the service of their cellular network. The battery life on the iPhone 5 is better than many other smartphones, but most users would still love to get more life out of their phone before having to find an outlet to recharge. The Tekkeon TekCharge MP1820 is the answer! The TekCharge MP1820 is a 4800mAh rechargeable lithium ion battery pack that you can connect to your iPhone 5 (or any other phone, as well as many other portable devices like mp3 players). Depending on what you're using your phone for (talking, web browsing, video, etc), the MP1820 can add hours or even days to your usage time! For comparison, the iPhone 5 itself uses a 1440mAh battery — the MP1820's 4800mAh battery is more than 3 times the capacity. The MP1820 is extremely convenient. Just charge it up (via USB) and the connect it to your iPhone 5 with your iPhone 5 USB cable and you're good to go! At just 4.5oz, it's barely heavier than the iPhone itself, and it easily fits in your pocket, purse, or backpack. 3Gstore delivers expert advice right to your screen via the 3Gstore Channel on YouTube! Check it out today! You can also connect with our team live, Monday - Friday 9am to 6pm CST, via chat (click the Live Help window at the bottom) or by phone at 866-3GSTORE (866-347-8673). T-Mobile announced that the company has fully refarmed its 1900MHz spectrum in Las Vegas and launched HSPA+ service using that frequency. Nationwide, T-Mobile USA uses 1700MHz AWS spectrum for its HSPA+ 3G/4G network and the 1900MHz PCS spectrum for its voice network and 2.5G data network. T-Mobile is in the process of refarming -- or repurposing -- its 1900MHz spectrum so that it can free up its 1700MHz spectrum for its forthcoming LTE 4G network. It will migrate the small percentage of its customers who still have 2.5G devices to newer hardware and continue to roll out HSPA+ service in the 1900MHz band, cutting off its 2.5G service. New York City, Seattle, and Washington, D.C. are next up for the spectrum switch. With respect to its LTE 4G network. T-Mobile will begin deploying LTE 4G in 2013 and expects to complete the LTE roll out by the end of next year. Cradlepoint has released firmware version 4.0.3 for their business-class routers (MBR12000, MBR1400, IBR600, IBR650, CBR400, CBR450; the MBR95 and CTR35 are NOT included in this firmware release). IP Passthrough: Ethernet WAN to LAN with failover to modem is available. Networking improvements: Better IP Filtering, more powerful routing (per-interface routing), rule-based policy routing. QoS: Improved bandwidth & priority traffic shaping (CBQ to HTB as a queuing discipline, Fair Queuing added). QoS can handle FTP/PPTP now. Hotspot: Improved client rate limiting. WPA2 Enterprise/RADIUS settings can be set with any WiFi interface, not just the primary. Improved WiFi-as-WAN (WWAN) reconnection ability. A number of Data Usage Management defects have been fixed. Load Balance schedule selection: A user may now select either Round-Robin, Rate, Spillover, or Data Usage as a Load Balance algorithm. Improved UPnP support, including “Type 2” NAT support on PS3. The CBR450/CBR400 in particular work better under stress (high network loads or VPN tunnels) than they used to. You can read all of the improvements, fixes, and notes in the 4.0.3 release notes. 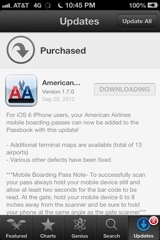 Congrats to American Airlines for being the first airlines to support PassBook. Passbook will change the way you use your iPhone, watch how's my companies ad support over the coming days and weeks - as Apple made it easy. On September 14, a security researcher discovered that the browser was vulnerable to a piece of malware known as “Poison Ivy.” This is called a, “zero-day exploit”. This happens when someone takes advantage of a security vulnerability on the same day that the vulnerability becomes generally known. There are zero days between the time the vulnerability is discovered and the first attack. Microsoft is requesting those who use Internet Explorer versions 6 through 9 to download and deploy its Enhanced Mitigation Experience Toolkit (EMET) as a temporary workaround, while they work to develop a permanent solution. 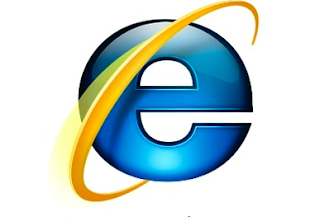 Microsoft has released a temporary fix for a zero-day vulnerability in Internet Explorer. 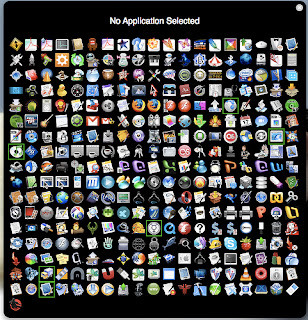 Many experts say the EMET is so complicated that most computer users would do better to switch to a different browser. Some popular browsers are Firefox, Chrome or Opera. Congrats to ken d. of harrow, Ontario who just won a $25.00 Restaurant.com gift code for writing a review for Wilson SignalBoost DT Amplifier/Repeater Kit - 801247 [800/1900mhz] at 3Gstore.com! Every week we randomly pick one product review from the previous week and award the writer a $25.00 gift code. We appreciate ALL the reviews our customers write, whether they are positive or negative - honest reviews like ken d.\'s help other customers decide if the product is right for them. After you purchase a product from 3Gstore.com, we encourage you to log in and 3Gstore.com and leave a review letting people know how the product worked for you - you'll be helping others, and you'll automatically be entered to win a restaurant.com gift code!. 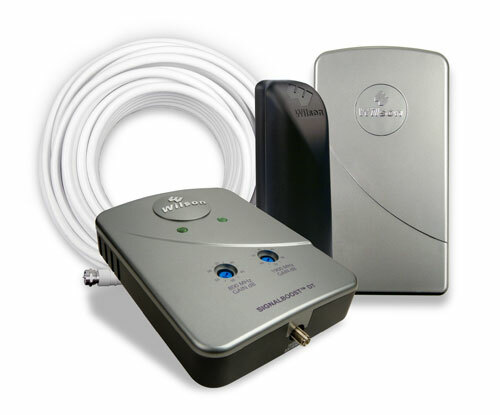 this product was very easy to install and increased my reception form 1 bar to 4 bars. great product. 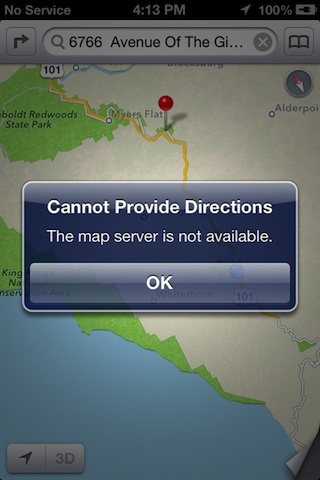 Despite initial speculation that Verizon’s iPhone 5 with 4G LTE would support simultaneous voice/data service Verizon has confirmed that it will not work. This is a shock to a lot of customers because most 4G LTE handsets on Verizon support voice of 3G and data over 4G LTE at the same time. According to Verizon the limitation is caused from Apple integrating the CDMA/LTE radios into one chip, rather than two. Brenda Raney, a Verizon spokeswoman says “It was an Apple decision” and users will still be able to use simultaneous voice/data service as long as they’re on a WiFI connection. If you’re an AT&T user don’t worry the iPhone 5 will still support simultaneous voice/data just like previous generations. Let us know in the comments below if this will be a dealbreaker for you. Almost every app company in the world are working towards one goal. Make your life easier. Whether it’s making you laugh, making your work more accessible, letting you show family and friends just how cute your dog is, helping you find a cheaper scarf, or where your new favorite place is they will climb over the dead carcasses of those that came before them to get your $.99. Here are some of them that have done a better job climbing over the dead than others. Combining Facebook and TomTom, Waze has saved many from life sucking traffic jams and flashing blue and red lights. It uses real time info. from other users to tell you know where the knots in traffic are as well as giving you a crisp clean map along with shots of other users near you. It gives you alternate routes and stays constantly updated. That way you don’t look for that BandB that shut down two years ago but, for some reason, is still on the map. It’s simple, it’s cheap, and it gets you where you need to go. Can’t ask for much more. Grouper is great way to keep your contacts separate so that you don’t have to scroll through your work contacts, friends, and family all while holding a coffee, yelling at your kids and driving sixty mph. I have known many who have said this is a life saver. Yes, your phone has a basic version of this. 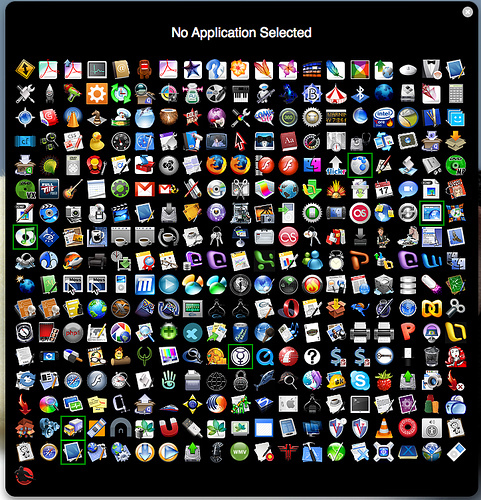 But this one lets you pick the names of your folder, and doesn’t hide those that you don’t always need. This is another excellent way to compartmentalize your life, just like your feelings. Now many would say you can only take my Safari from my cold dead hands but the reason I think Google is a great app to have is because you can do more that just surf the net. You can check your gmail with it, look up your work in the new Google Drive, use the maps whatever you want. It makes my world more available to me while I’m on the go without the high price of an IPad. So though it may not be as awesome to some as the Safari it’s still gets my vote for pure accessibility. Pandora is the beginning and the end of app radio. Others come close but none seems to get past their simple interface, good music selection and giant library. While the skipping ability can get annoying it’s still better than a lot of stuff out there because it’s got the perfect amount of more without too much less. Cracked.com is the best app for what so many people need. Something to read while they're waiting to do something more interesting. With funny articles, and fun photoplasty that’ll put a smile on your face without giving anything away. Just one day after announcing the iPhone 5, Apple scored a major victory in Germany today when the regional Munich court agreed that Motorola Mobility (owned by Google) infringed on Apple's "rubber band" or "overscroll" patent. The "rubber band" functionality is something Apple and Android users are probably quite familiar with: it's that "bounce back" you see when you scroll down past the boundary on web pages, documents or photos on a touchscreen device. The ruling affects Adroid OS smartphones and tablets sold in Germany, including the Motorola Milestone XT720, the Motorola DEFY, the Motorola Atrix and Motorola XOOM. Because of the ruling, Motorola is not allowed to utilize the patent in Germany. This effectively results in a ban in sales on all the devices that use the patent. Apple has also requested a recall of all the effected devices so that they can be destroyed to prevent them from ever being sold. The decision is not yet final, though, and Motorola has an opportunity to appeal. The ruling today was a preliminary injunction, but Apple must pay a 25 million euros bond (about 32 million USD) to enforce it. Another option for Motorola would be to simply change the software they're using (like Samsung did last year to avoid a similar situation) and no longer use that patented technology. This is the third time this year that Apple has won a patent-infringement case against Motorola in Germany; they won one over the slide-to-unlock patent and another over the photo gallery page-flipping patent. With these cases and the recent billion dollar Samsung verdict here in the US, it is clear that Apple is ready and willing to fight for their patent rights wherever necessary. If you’re anything like me, new cutting edge movies (especially sci-fi) excite you just as much as new tech. So when I heard about an upcoming film about a man who falls in love with a machine, it immediately sparked interest. Writer/Director Spike Jonze has married the two, so to speak, and taken things to a new level. 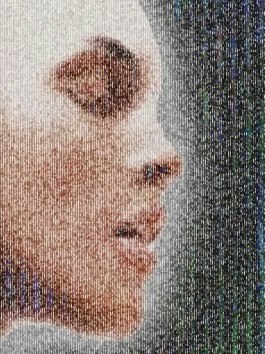 Of course we’ve seen our share of androids with emotions in countless films, but I can’t think of any having to do with a talking computer (I think we can rule out Hal from the classic 2001, because let’s face it, that thing had no feelings). With technology ever growing, who’s to say this won’t be possible in the future? I’m sure we’ll have androids like the ones we’ve seen already before that, but what’s this say about us as a society? I think this film is going to raise, at least I hope, lots of questions regarding our relationships with technology. We should find out just how far is too far when the film comes out sometime next year. Verizon Wireless today said that users of iOS 6 devices will be able to use the FaceTime feature over Verizon's cellular network without paying extra for it. The feature will be available to the iPhone 5 and other Apple devices as a part of their monthly data allotment..
Sprint announced info regarding the iPhone 5, including availability and price. Sprint reiterated that the iPhone 5 will continue to have access to truly unlimited data. Sprint CEO Dan Hesse said, "We are proud to offer Truly Unlimited data to iPhone customers so they can enjoy everything iPhone 5 has to offer on our 4G LTE network." That includes FaceTime over cellular.